The relevant destination object can be very easily created from the SAP source object automatically. During this process, the metadata for the object in question is optimally and automatically transferred to the destination. A customer number that consists of 10 digits in the SAP system, for example, will also have 10 digits in the destination system. The accuracy of a value field with three decimal places will not be affected. This process is generally referred to as type safety and is systematically implemented for Instant Data Warehousing. The processing of data content works just like the automatic procedure for transferring metadata. 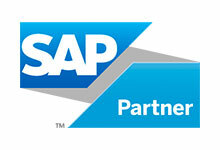 In the simple case of a full load, the entire SAP object is replicated. Even more interesting is the incremental delta load process, that is, the limiting of the download to the data content that has been changed or added since the last download. The data to be loaded is then updated against the data already available in the target system from previous data runs. The data update can either also be automatic or, depending on the client’s specific requirements, extended to include individual add-ons in the load process.